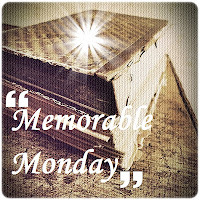 Memorable Monday is a new meme held at Escape In A Book! 1. Share a quote that has captured your interest lately in a Memorable Monday post on your blog. 2. Leave the link to your post in the inlinkz widget at Escape by Book. 3. It would be nice if you visited one or two of the other participants. 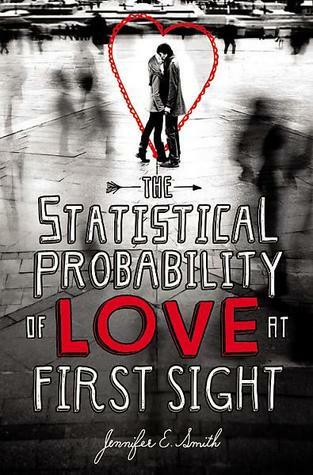 I recently read the Statistical Probability of Love at First Sight and utterly loved it. But besides that I found loads of quotes within the book that I found so sweet and meaningful! "You know what they say," Dad said. "If you love something, set it free." "What if he doesn't come back?" "Some things do, some things don't," he said, reaching over to tweak her nose. "I'll always come back to you anyway." "You don't light up," Hadley pointed out, but Dad only smiled. "I do when I'm with you." "But Hadley understood. It wasn't that she was meant to read them all. Maybe someday she would, but for now, it was more the gesture itself. He was giving her the most important thing he could, the only way he knew how. He was a professor, a lover of stories, and he was building her a library in the same way other men might build their daughters houses." Awww, those are really sweet quotes, especially he second one. Love this book and the quotes! So sweet.